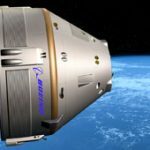 Boeing (NYSE: BA) will receive up to $460 million from NASA to continue developing a commercial crew transportation spacecraft, the company announced Friday. This series of funds covers a 21-month base period, the third round of the Commercial Crew Program: Commercial Crew Integrated Capability. The company’s goal is to create a transportation service that sends crews to and from the International Space Station, said John Mulholland, vice president and general manager for commercial programs. He added the company also wants to create a market for commercial transportation to other destinations within low Earth orbit. Program goals include ending reliance on a single system for access to the space station, according to John Elbon, VP and GM for space exploration. 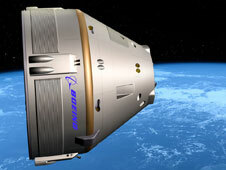 For this round, the company will continue development of its CST-100 spacecraft, launch services and ground systems. The company said it completed tests on engines, abort systems, propulsion, heat shield jettison, attitude control systems and landing during program rounds one and two.